Award winning German photographer André Lützen, answers questions about his exhibition Living Climate: A Tale of Three Cities. 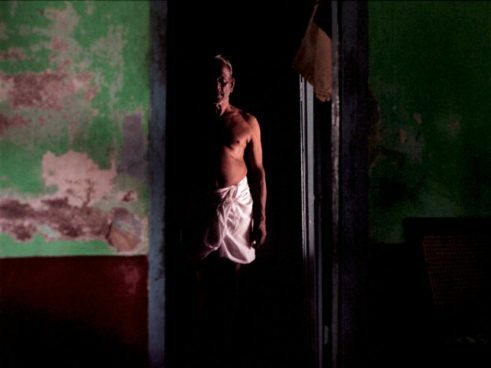 Taken between 2014 and 2017 in three cities with very different weather conditions – Kochi in South India, Arkhangelsk in North-West Russia and Khartoum in Sudan – André Lützen approaches the question of how climate influences people and their ways of living in the photographs. He has documented how climate circumstances define living situations and effect a very diverse interplay between private and public. You have visited Kochi before; can you tell us a little about your earlier trips to the city and how the series of photographs on Kochi came together? 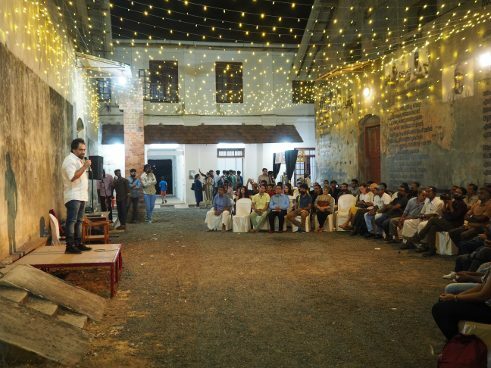 In 2014 I stayed 4 weeks in Kochi at the Pepper House residency by invitation of the Goethe-Institut and the Kochi Muziris Biennale. I could choose the time of the year and I decided to come during the monsoon season. I was interested in this weather condition of continuous rain and humidity, how inhabitants arrange their living space concerning the extreme weather condition. What is the impression or aspiration that you hope visitors to your exhibition take away with them? The visitors do have the chance to dive into three different worlds and discover similarities and differences of them. 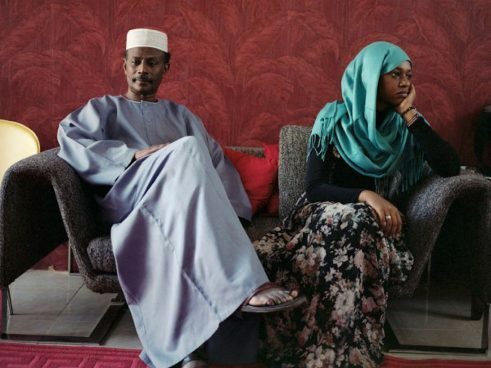 A view into the privacy of different cultures and living conditions. Of the 90 works in the exhibition, is there one particular photograph that you respond to more than the others and can you tell us why? Behind all the pictures is a story of the making of. A picture from Arkangelsk, Russia is still one of my favourites. A woman sitting on her bed with her toy pet. The emotional relation of the woman towards her toy pet is intense. Her view, her body language and the whole setting touches me. 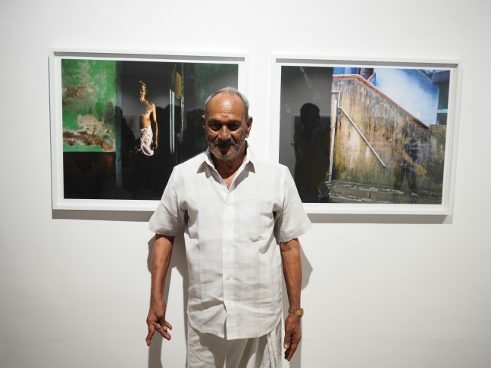 Some of the people who you photographed for the series on Kochi were present at the opening. What was the reaction of the local community to the exhibition? A visitor recognized his father on one of the pictures. 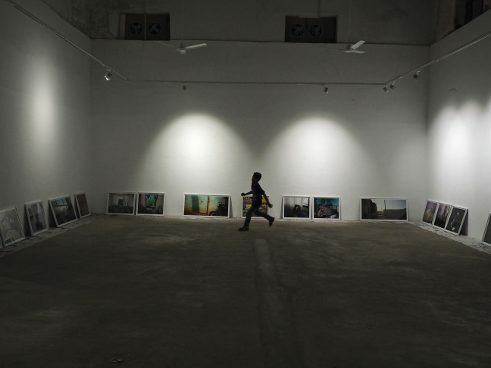 He went home and brought him immediately to the exhibition. He was surprised and very proud to see his picture up on the wall. 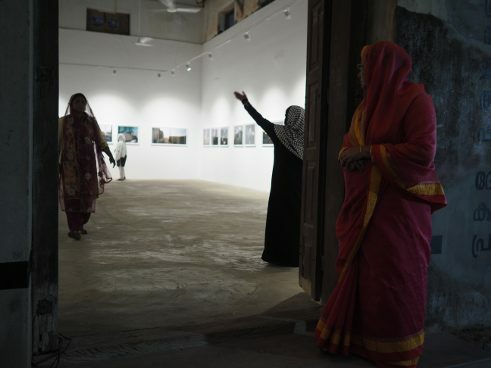 Some visitors have been surprised about the intimacy of the pictures in general and in Kochi especially. The new project I´m working on is placed in Germany. Working title is: Diary of a north german boar. André Lützen: Born in 1963 in Hamburg, André Lützen studied visual communication at the Hochschule für bildende Künste Hamburg and at the International Center of Photography New York. 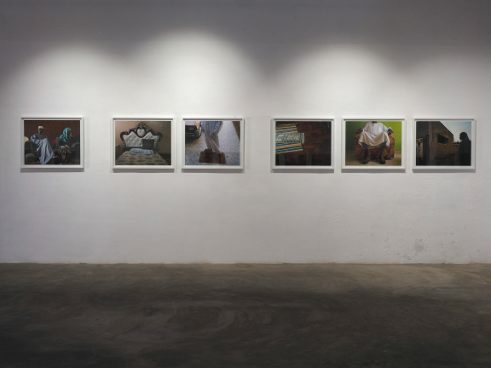 He has received various awards for his work, which has been shown in numerous exhibitions such as the Haus der Photographie/Deichtorhallen, Hamburg, the Krefelder Kunstmuseen, the Hamburger Kunsthalle, the Noorderlicht Photogallery, Groningen, at the New York Photo Festival and at Photo Espana. Shweta Wahi conducted the interview. She works as the Communications Coordinator for the Programme Department at Goethe-Institut / Max Mueller Bhavan, New Delhi. 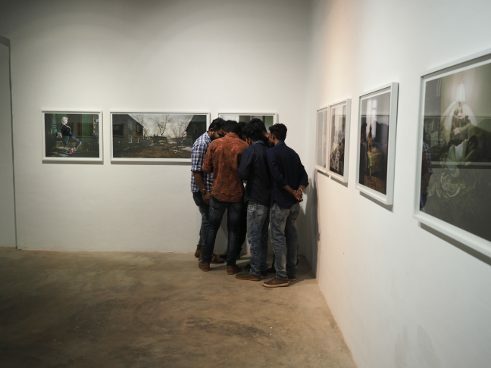 Shown at URU Art Harbour, Kochi, and conducted with the support of Goethe-Institut / Max Mueller Bhavan, the exhibition is on view until Wednesday, 28 February 2018.